Today’s article is by Gale Newell, a young woman who is taking positive steps toward becoming self-sufficient. Gale has written for a number of prepper blogs and submitted the following article to us to help us get control of one of our most important resources — our money. This may become the first installment in an ongoing series on financial issues from a prepper perspective. I’ll turn this over to Gale now, and chime in with my own comments below hers. Paper currency will always be a major factor in your life, unless you plan on disappearing into the mountains to live the rest of your life in a cave. Some of us (including me) hope to do this someday, and live a self-sufficient life. Even then, someone will probably find you and want money for something. Until TEOTWAWKI comes and the foundation of our society crumbles, paper currency will continue to hold value in our world. So, what can you do now, as a prepper? Step 1: Keep track of all of your expenses. There is still a lot of value in balancing your checking account. In addition, recording all your transactions in your checkbook’s register allows you to double check everything your bank does, without relying on an internet connection. A bank has thousands of transactions every day and mistakes, while rare, do happen. I personally don’t carry my checkbook on me. While this means I can’t record my expenditures as I make them, I keep the receipts from all my transactions in my wallet and then add them to my checkbook’s register at the end of the day. It only takes few minutes and it provides me with an organized record of all my expenditures. Furthermore, it provides me with an accurate, up-to-date balance. Online banking is great, but it can take a day or two for transactions to clear. I personally like to sit down and compare my checkbook’s register to the information available at my online banking. It’s a quick way to double check my work and the bank’s numbers. This could be seen as an optional step, and it is, but I highly recommend doing it. If everything is accounted for and looks good, it’s time to create categories to sort your finances into. Step 2: Budget. After about a month of recording transactions, the process of creating a budget can begin. Here are some very useful budgeting forms from www.DaveRamsey.com, which can help you divide your overall budget into meaningful categories. If you are looking to cut certain expenses out of your life you could label a category “unnecessary expenses.” Once you have sorted your various expenses into their proper category, add them up. The totals in each category should give you a good idea of where your money is going. Step 3: Evaluate. Now that you have a good picture of what you are actually spending your money on, you can decide which areas require some cutbacks. If you created an Unnecessary Expenses category, you could immediately use that money somewhere else. The Unnecessary category could be very handy if you need to save up money to put towards outstanding debts, or if all your debts are paid off, put that money towards additional preps. All you would have to do is set aside the amount you would normally spend on expenses you deemed unnecessary into something like a savings account. Any money sitting in a savings account should not be touched for any purpose other than putting a down payment on a house or getting out of debt. Hopefully this will help readers see how staying organized and planning ahead can reduce the stress of living within the current times. Budgeting is not something over the head of a prepper. In fact, it becomes doubly important for reducing your financial footprint and making strides to getting off the grid. In a capitalist economy in which everything revolves around money, remember there are things much more important than material goods and extra stuff. Use saving money as a chance to reconnect with friends and family, not spending so many nights out or making impulse purchases. Gale Newell is continually working on being a self-sufficient human being. She finds herself spending her summer days outdoors, whether raising food in her organic garden or playing cards with friends and family. She enjoys grilling meals on her old-school charcoal grill and has overcome an addiction to multiple television series. Gale feels freer than ever and is truly happy. She is prepared for the future and ready for whatever happens next. Gale brings up some excellent points. The late, great motivational speaker Zig Ziglar was known for saying, “Money isn’t the most important thing in life, but it’s reasonably close to oxygen.” Next to tithing and providing for the needs of your family, budgeting for prepping may be the most important thing you do with your money. Creating a realistic budget can be terribly difficult because it forces us to be deadly honest with ourselves. The things that will really kill your budgeting process are the dreaded occasional expenses. We all have WAY more of them than we are aware of. I read recently that the Back To School season is the second biggest shopping period of the year, second only to Christmas. The average family spends $600 per child on back to school expenses. Did that annual expense make its way into your monthly budget? I just had my roof replaced a couple of years ago. It cost thousands, and it’s something that typically has to be done about once every 15 years where I live. Is that in my budget? How about medical expenses, insurance, car maintenance, saving for my next vehicle, replacing my aging water heater, or the need to travel across the country to visit a sick or dying relative? How do you budget for these kinds of things? I’m going to need to replace virtually everything that I own at some point. Do I have that in my budget? Do you? Once again, our thanks to Gale Newell, who saw a need and stepped up to address it. I look forward to more thought-provoking articles from her in the future. Gas station. Amen to that! I’ve lived through a couple of gasoline shortages in my lifetime. I’ve seen the long lines of cars that extend down the block and the news reports of shootings as tempers flare out of control. 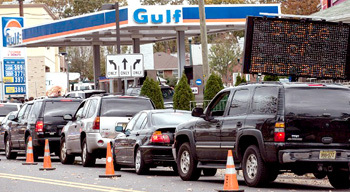 In a disaster, everyone is going to want to fill their gas tanks. Fuel storage is one of the most challenging aspects of prepping. In a collapse scenario, acquiring fuel of all types will be one of the biggest problems most people will face.How many of us have the means of safely storing a significant amount of fuel, keeping it stable for long-term storage, and keeping it secure from those who would want to take it from us? I know that I don’t. I don’t have a place to put a tank like that on my property that wouldn’t be a huge fire hazard. Nor do I have a way of protecting it 24 hours a day from desperate, determined thieves. So what can we do? For those of you who live in a location where you could store and secure a reasonable amount of gasoline, I urge you to think about doing so. For the vast majority of the rest of us, I would encourage you to never let the gas tank in any of your vehicles to go below half full. I would also recommend that you have at least one vehicle that gets good gas mileage. And you should also consider acquiring a bicycle for every member of your family. They’re fun and good exercise right now. Down the road, they could become your primary means of transportation. Grocery store. This one should be obvious to all. While I’ve been a witness to gas shortage lines, I’ve had the good fortune to never be in a place where there was a run on the grocery stores. But I’ve seen pictures of stores whose shelves have been picked clean by people stocking up on anything and everything they could get their hands on in advance of a coming storm. Food storage is so basic that I don’t feel a need to beat that drum again in this article. Hardware store. I’ve also seen pictures of people standing in endless lines to buy plywood and supplies for boarding up their windows as a storm threatens them. These are people who waited until the last minute to make any preparations to ride out their storm. They could have taken note of the natural disasters that their area is prone to and prepared for them in advance. They could have observed the season that they were in (tornados in the spring, hurricanes in the summer and fall, ice storms or blizzards in the winter) and equipped themselves in advance to deal with it. What do you lack for surviving in the location where you live? Hospital. I work in the Emergency Room of a small, rural hospital. My hospital is a 50-bed facility next door to a cornfield. Even a place like that can get really busy on any given night. A nurse does an assessment of every patient as they come in before they are put in an examining room to be seen by the doctor. On busy nights when we fill up all the examining rooms we have to bounce patients back out to the waiting room until an examining room opens up. Patients are admitted to an examining room in the order of the severity of their ailment. On busy nights, patients with relatively minor conditions can wait for hours to see the doctor. Some patients decide that they can deal with it on their own, rather than wait all night to be treated. And this is what it’s like in a rural hospital, in a non-emergency situation. I’ve often wondered what it would be like to work at a much larger hospital in a big city. And then I take a moment to thank God that I live and work where I do. Medicine and first aid supplies are often overlooked or assigned too low of a priority by people who are beginning to prep. What medicines (both over-the-counter and prescription) do you take now? You need to lay in a supply of them and rotate your stock. Do you know how to perform first aid? You probably need to take a class or two, and stock up on first aid supplies. Trust me. You DO NOT want to find yourself at a hospital during or after a disaster of any sort. Sporting goods store. No, I’m not talking about stocking up on soccer balls and catcher’s mitts. How about camping equipment, sleeping bags, outdoor cooking equipment, lanterns, fishing gear, knives, firearms, and ammunition? Sporting goods stores are chock full of things that people will need to live in the aftermath of a disaster. You should plan a trip to a sporting goods superstore and spend some time there. As you browse the entire store, including areas that you have never had any interest in before, consider it from a prepping point of view and make a list of items that you will need or want in an emergency. Incorporate this list into your priority ranking of things you need to buy. Bank. The late, great, motivational speaker Zig Ziglar was fond of saying, “Money isn’t the most important thing in the world, but it’s reasonably close to oxygen.” Zig was right about this, as he was about most things. There are many other things that we need more than money, but money still has a prominent place near the top of the list. You need to have some cash that you can access quickly in an emergency, without going to a bank to get it. It should be enough to tide you over for a while, and much of it should be in small bills. You don’t want to have to give someone a $100 bill for something that you could have bought for $5. You might want to buy a couple of small, fireproof safes or boxes that you could hide in your house or elsewhere. As with all aspects of prepping, you need to take a balanced approach with the stockpiling of cash. You need to have a supply of cash, but it needs to be proportional to your other preps. You shouldn’t set so much cash aside that you deprive yourself of buying other things that you need; but you also shouldn’t go on a shopping spree and leave yourself with no cash reserves. As your stockpile of material goods increases, you can increase your cash supply as well. Balance and proportion, people! Balance and proportion! The bottom line on all of this boils down to forethought, planning, and action. A real emergency situation will find the establishments list above to be mobbed by desperate people. They will become violent. You don’t want to be where they are. You must address your needs in advance to the best of your ability. What will you need first? What will you need most desperately? What do you use the most of? Think about what you’re going to need before you need it, and buy it now. Make a list, prioritize it, and start shopping. And don’t just think in terms of material goods, but also skills. What will you need to do? What will you need to know? What skills to you lack? Learn them and start practicing them now. It’s coming. Every indication, from all around the world, points to the same conclusion. 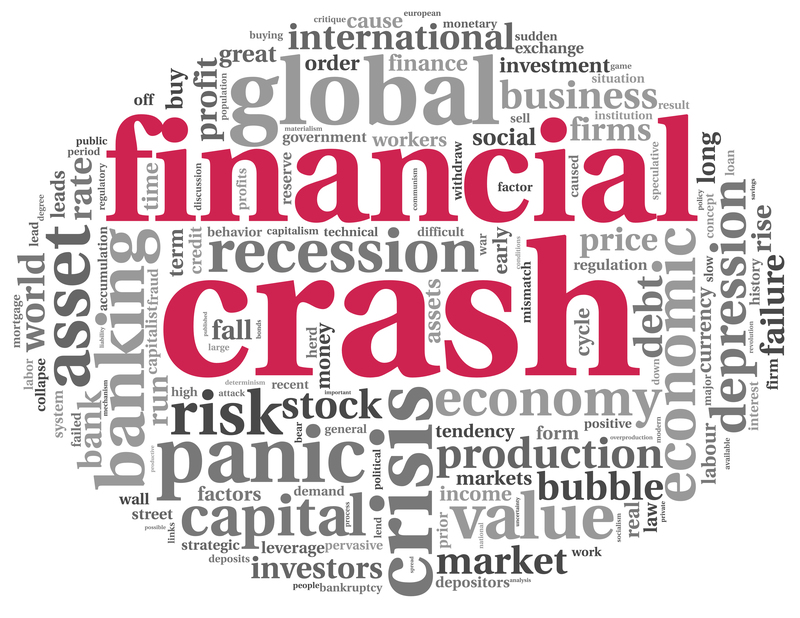 The economic system is going to come crashing down. I read an article on another website today that I’m going to give you a link to. (Your patience will be rewarded.) I’ve read some other posts on this site and have found that the author carries some things a bit further than I would, but I believe that this article about 25 things to do before the economic collapse hits is dead on. Now I wasn’t around in the days of Noah, so I can’t speak from personal observation, but it sounds like what Jesus was saying is that it was “business as usual” for the world at large, even though a warning was issued by the only man in the world who took God at His word and got prepared to survive the coming disaster. We are living in a “business as usual” world. North Korea has been threatening missile strikes on America, South Korea, and all of our allies. (Do we still have any allies?) While this is happening, the stock markets in South Korea and the U.S. continue to inch upwards. The financial markets are bullish on the future! Rank and file citizens continue to be more concerned with entertainment than survival. “March Madness” is just over. Now we can focus on opening day for the baseball season. Or we can obsess about our favorite celebrities. Business as usual. We’re not thinking about our impending future. We’re not concerned about Eternity — either with God or without Him. I believe that God doesn’t bring this type of disaster upon the earth without giving people a chance to prepare for it. The first item of preparation is to be reconciled with God. Without that piece of business set right, all other preps are just temporary shelters. But then we need to equip ourselves, like Noah did, with what we’ll need to ride out the storm. And we need to get the word out to others. Amos 3:7 says, “Surely the Sovereign Lord does nothing without revealing his plan to his servants the prophets.” Hmm. I guess that makes me one of the prophets. Go figure. You want to be one, too? Then get the word out. First about Jesus (Revelation 19:10b — “For it is the Spirit of prophecy who bears testimony to Jesus.”) and then about the signs of the times. If you want to know more about being saved, check out this article.